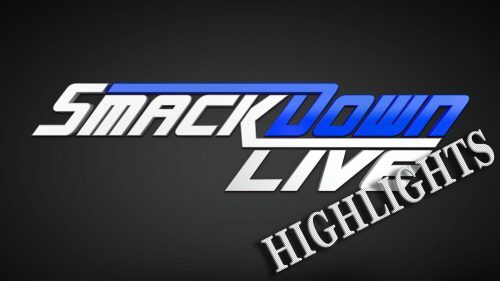 Highlights from WWE’s Tuesday night lineup of SmackDown Live and 205 Live! Naomi & The Princess of Staten Island will look to make the other teams feel the glow when they clash inside the Elimination Chamber to crown the first-ever WWE Women’s Tag Team Champions. Will the uneasy alliance between Rusev & Shinsuke Nakamura be enough to counter The Good Brothers? Jimmy & Jey Uso have a warning for the SmackDown Tag Team Champions ahead of their appearance on “McMiz TV” next week. When The Game questions whether Becky Lynch is afraid of Ronda Rousey, The Man slaps him in the face. After hearing Daniel Bryan’s tirade, Jeff Hardy and AJ Styles argue over who is better equipped to handle the eco-warrior. The WWE Champion objects to being put inside the Elimination Chamber, but he vows to forge his brave new world in the face of it. The shaky partnership between The Bulgarian Brute and The King of Strong Styles seems to be finding more solid footing after a victory over Gallows & Anderson. The SmackDown representatives in the Elimination Chamber Match to crown the first-ever WWE Women’s Tag Team Champions look to show their tag team superiority in this Triple Threat Match. See the carnage created by The Empress of Tomorrow. The Charismatic Enigma looks to quiet “The New” Daniel Bryan as WWE Elimination Chamber draws near. Mike Kanellis earns an opportunity to face The Brian Kendrick after impressing General Manager Drake Maverick in a loss against another former WWE Cruiserweight Champion, Kalisto.